What’s New in the 3 Valleys for Winter 18/19? We are lucky enough to be based in the world’s largest ski area – The 3 Valleys. The 3Vs team have been hard at work this summer to bring us some exciting additions for this winter! Year on year they invest time, thought and capital back into the pistes, lifts and amenitites. This is why The 3Vs remains one of the best ski terrains in the world – you won’t be disappointed. Scroll down for more detail on what’s new this winter. It’s now only 10 weeks to go until lifts open and we welcome our first guests for Winter 18/19. With sightings of snow in the Alps today and a chill in the air here in the UK we are starting to get just a a teeny bit excited. We are now sold out for the New Year and half term (16th Feb) weeks – but still have some chalets left to snap up for other dates throughout the season. Due to a cancellation we have the fabulous new self-catered Chalet Marmotte available for the Christmas week (sleeps 10) – which is our only remaining Christmas availability! If you are keen to get booking then you are in luck as we have just released some unmissable Special Offers which include free airport transfers, 10% discounts for split bookings, free ski passes and more – so please get in touch with your requirements for this winter. Finally we would like to take the opportunity to thank everyone who completed our survey recently. We were astounded at the number of responses, and have some incredibly useful data to help us with exciting plans for the future! Huge congratulations to Katarina Kallen and Peter & Cherie Millington who are the lucky winners of a catered chalet holiday for 2 with F&P! We look forward to hearing from you and hope to see you soon in a snowy Méribel! 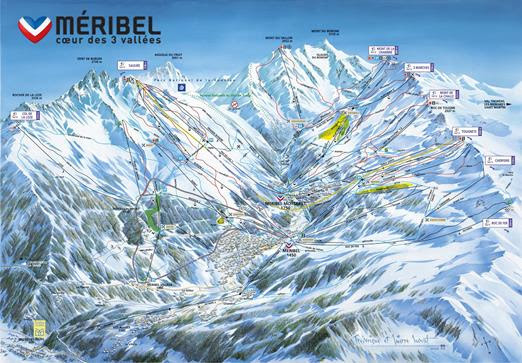 Over the next two years Méribel is investing a staggering €15 million on new lifts. This includes two new chairlifts opening this winter. The draglift Cherferie will be replaced by a 6-seater chairlift that will take skiers to the top in 4 minutes. A new premium chairlift (with heated seats and pull down shield) at La Chaudanne will replace the Plan de l’Homme lift and Roc de Fer lift, taking skiers to the top in 4 minutes and 40 seconds (3,600 people per hour!). A new gondola going from Courchevel Village to Courchevel 1850 is opening, replacing Les Grangettes gondola. In Les Menuires the Bruyères gondola is being renovated, which links the resort to Les 3 Vallées. Year on year the links are improving across the whole ski area making travelling from one valley to the next increasingly speedy, comfortable and accessible – pure joy! Skiing and eating go hand in hand, and as passionate foodies we believe no ski trip is complete without at least one great lunch or dinner. 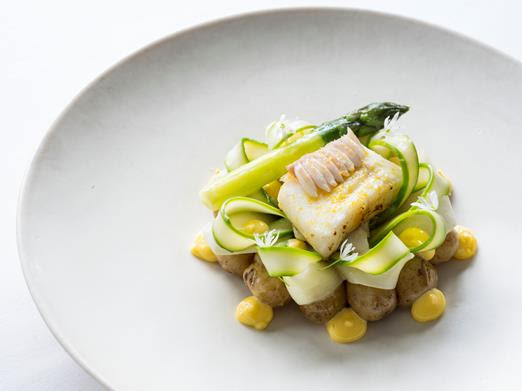 When when it comes to fine dining you are spoilt for choice in Les 3 Vallées – the area has the most amount of Michelin starred restaurants of any ski area in the world, with a total of 19 Michelin stars across 11 incredible restaurants. Foodie heaven! An F&P favourite is the extremely popular Le Farçon in La Tania – which despite having a prestigious Michelin star, still offers great value for money. It’s not just about the stars in the 3Vs – there are countless phenomenal lunch / dinners spots that cater for all requirements whether it be authentic Savoie to sushi or rustic Refuges to the glam terraces of Courchevel. 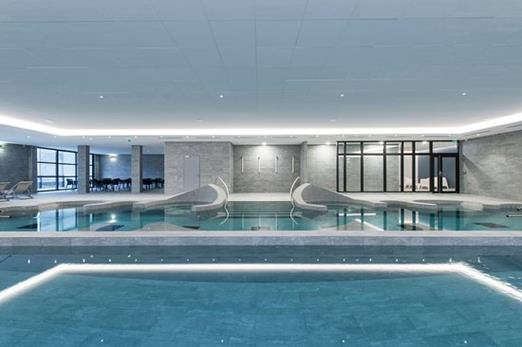 If you fancy a break from the mountain to soothe those aching legs, then the Grand Spa Thermal in Brides-les-Bains has reopened after 16 months and €15 million of renovations. The new 2,700 m2 spa boasts indoor/outdoor Jacuzzis, swimming pools, steam rooms, relaxing areas and treatment rooms. Aaaah bliss. 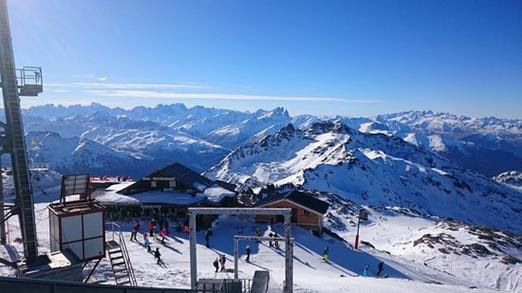 For the 3 Valley explorer – in Val Thorens, a new blue (certification pending) slope is being built this summer at the top of the Cime des Caron. This will ease the access for all ski levels to the legendary summit of Val Thorens and offer a whole new area to explore. The slope will have a total length of 3.2km. We cannot wait to give this a whirl! We are excited to announce that Chambéry has undergone €2 million of renovation work to the main terminal with enhanced departure lounge, new shops, re-organised security flow and increased queuing area. 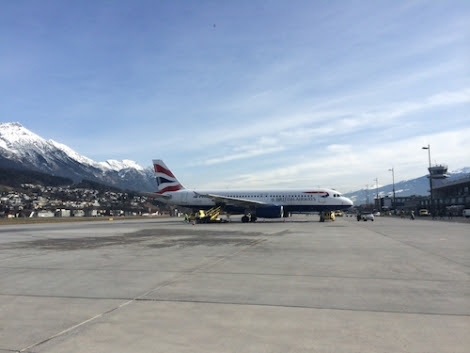 As the closest aiport to the 3 Valleys this is especially good news as there have been four new routes added this winter from London Stansted, Doncaster, Manchester and Norwich. British Airways now has flights from London City and London Stansted, and Flybe has flights from a number of UK cities. Plus it’s just over 1 hour transfer to Méribel itself and with F&P offering favourable rates when it comes to transfers – Chambéry is a no-brainer for F&P guests! There are 2,300 snow makers in Les 3 Vallées, and a third of the ski area is equipped with artificial snow. Courchevel is investing €1 million in new generation snow makers to enhance the ski guarantee even further. 26 new machines will be put on the Lac des Creux and Rama runs. 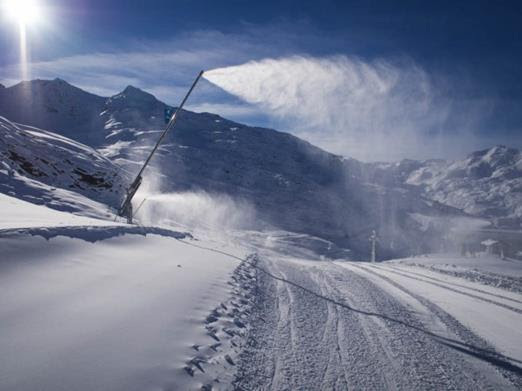 Val Thorens is investing €450,000 this year in order to improve the artificial snow system. If you are worried about snow conditions, you’ll always find some good skiing in the 3 Valleys! The last few years are testament to that – even when fresh snow has been less abundant, we’ve always been able to ski back to Meribel Village from mid-December right through until the third week of April – all thanks to snow making efforts as early as the start of November. 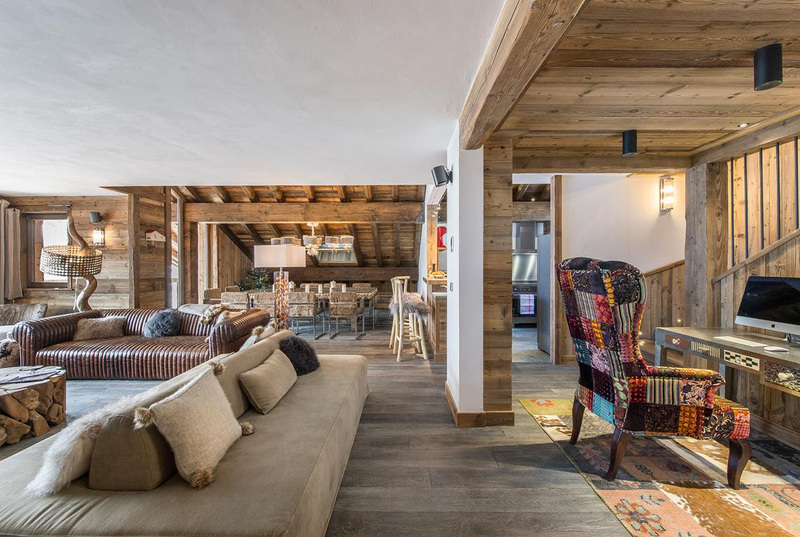 Book the stunning Chalet Cerf Rouge (sleeps 10, catered) for the 6th January and we will include a return transfer for your group in the price! This is a huge saving for your group, with transfers costing between €850 – €1450 return (depending on group size and airport). Cerf Rouge is priced at £12,500 for 7 nights from Sunday 6th January week. This offer applies to whole chalet bookings only. If you’re a couple or small group looking for a bargain at the beginning of the season – this is the deal for you! We’ve made some of our larger chalets available for ‘split’ groups and are offering 10% off if you book by the room on the 15th December, or any January week! Click herefor further details. Book the whole of Chalet Arbé (sleeps 6-7, catered) and receive an adult, 6 day 3 Valley Lift Pass included in the price! 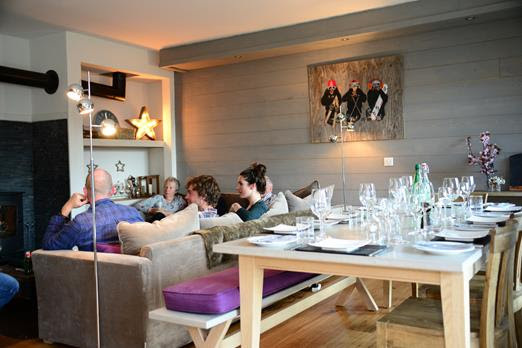 Chalet Arbé is situated in the centre of Méribel Village and is the perfect chalet for a family or group of friends. Available for the 5th, 12th and 19th January at £745pp. Book one of our fantastic self-catered chalets or apartments for any January week and save 5% on your stay! Offer expires 31st October. Contrary to popular belief, it’s not all about the gourmet chalet food at Fish&Pips. Some holiday makers prefer more flexibility than a traditional catered chalet holiday and can still enjoy a high-end experience in Fish&Pips new self-catering chalets. 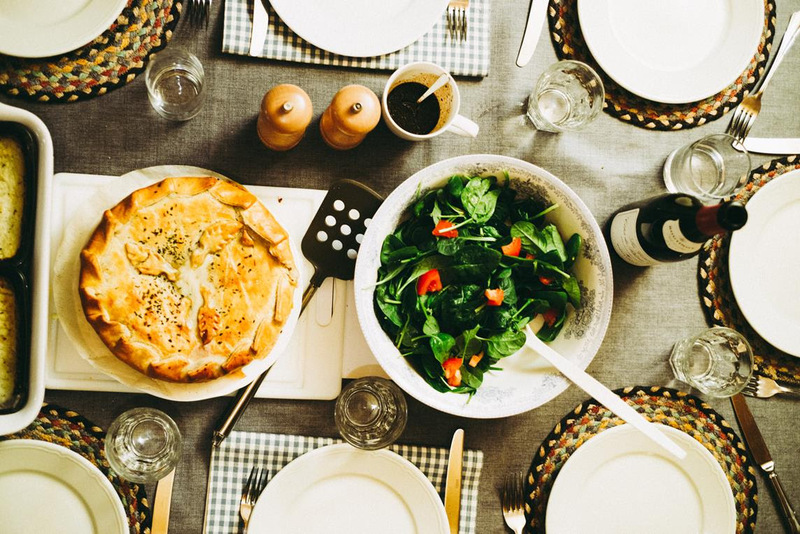 There’s a variety of ways to dine in F&P-style with a range of upgrades and services including breakfast hamper delivery, shop & drop and NEW home-made oven ready meals from COOK. The range of carefully selected self-catering properties are in line with F&P core values offering great locations, comfort, all the mod-cons and a tailored concierge service for all guests. Holidaymakers who book before 31st October 2018 can save up to €300 on Fish&Pips self-catered chalet holidays and enjoy the exclusive range of self-catered upgrades. We still have have some amazing weeks and chalets available for this winter so if you fancy a self-catered stay at an amazing price then please get in touch!